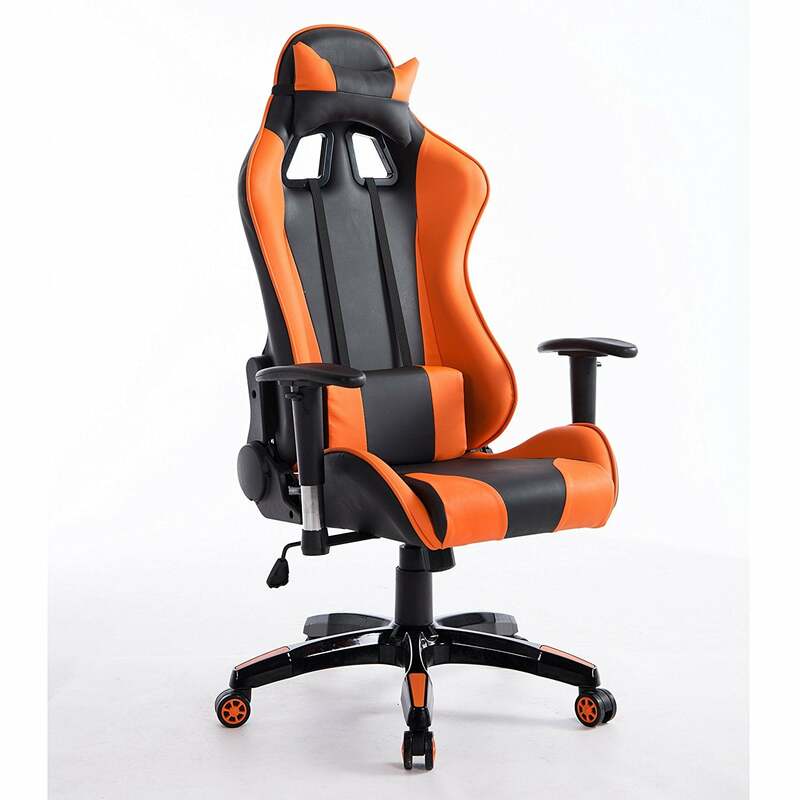 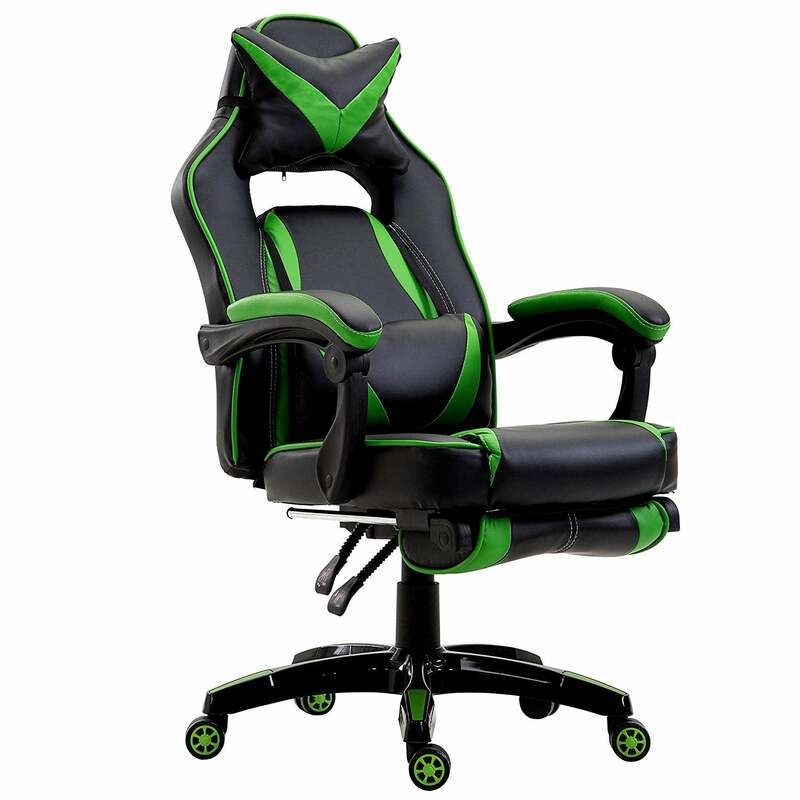 Gaming chair ergonomically designed with tall backrest, removable head pillow, and adjustable armrests. 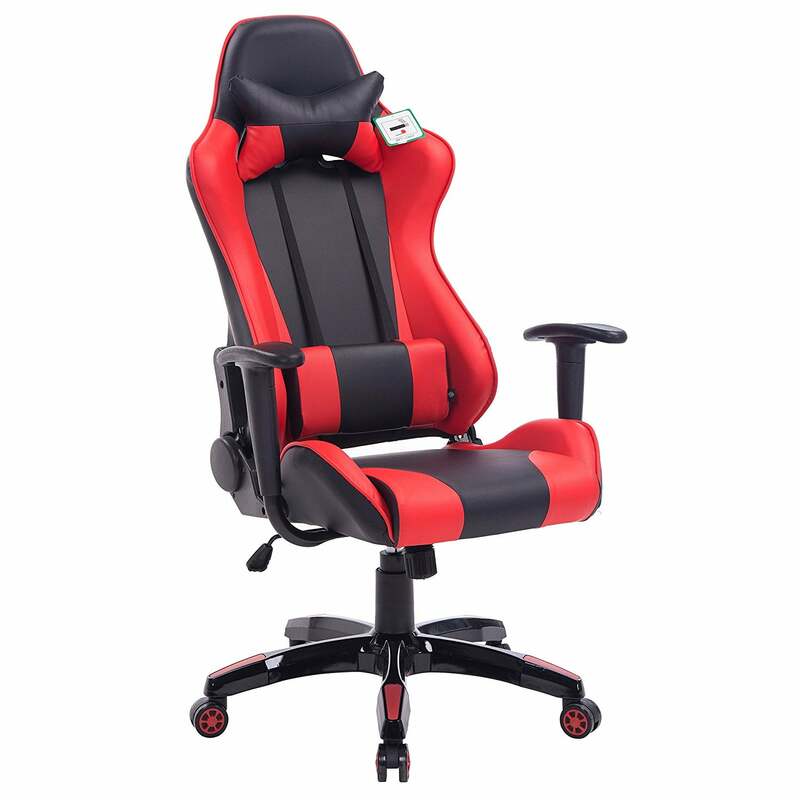 Adjustable armrests can be folded up. 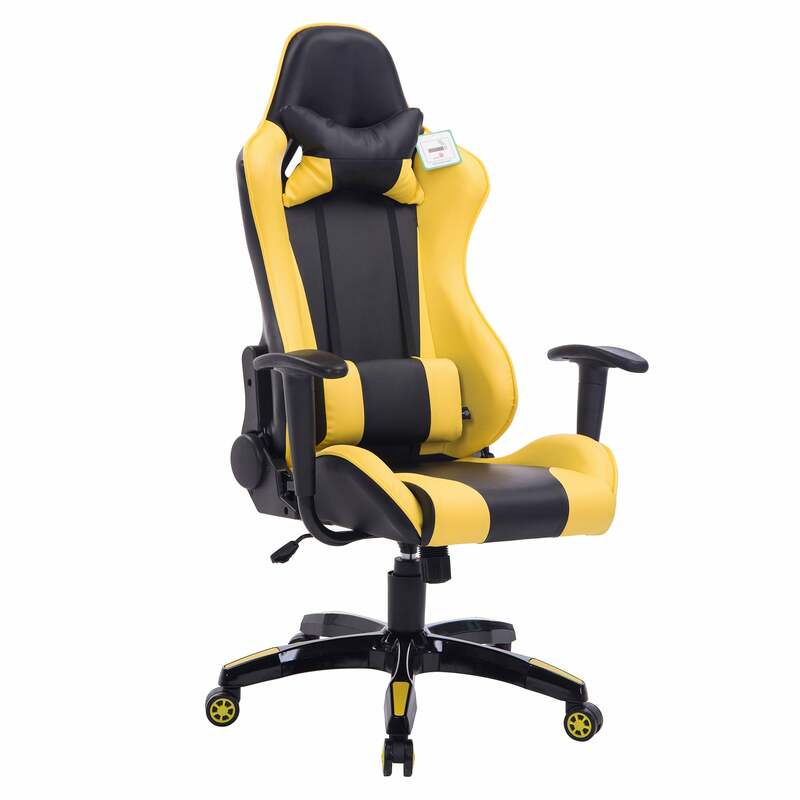 U-shaped headrest cushion can be adjusted or removed to suit your needs. 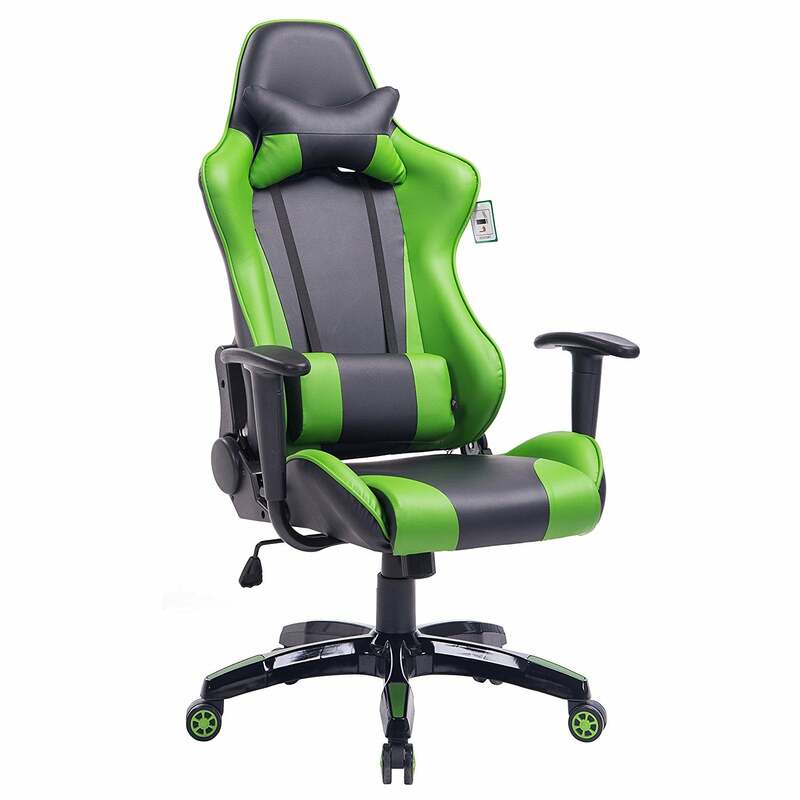 Tilt & upright lock function. Tension knob underneath seat for tilt resistance adjustment.